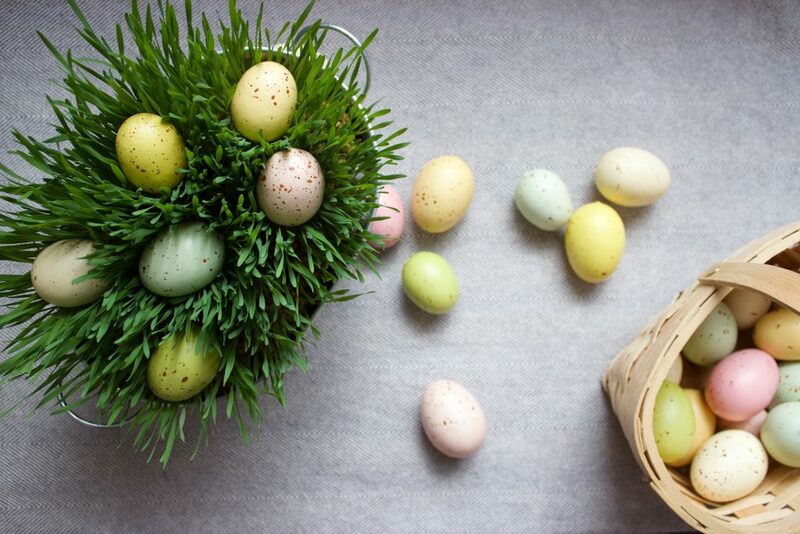 Growing Easter grass inside is super easy – seriously, I kill EVERY plant and this stuff survived. 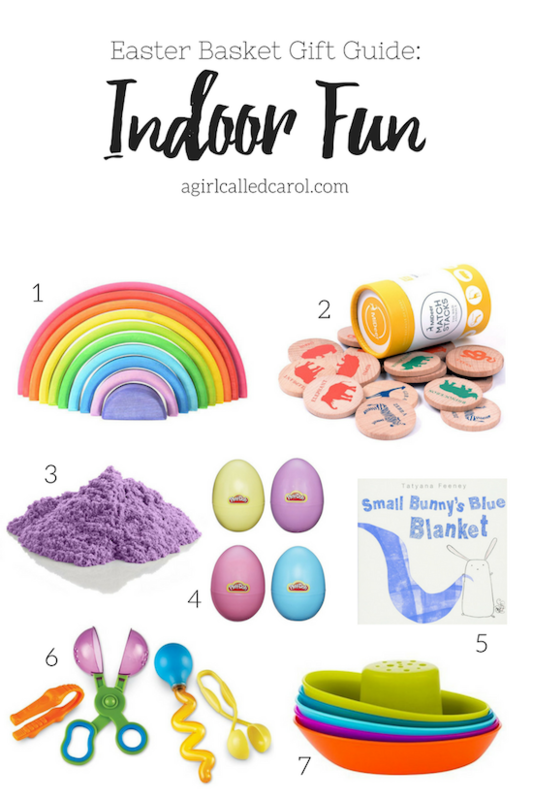 It’s also a great way to bring a little green inside as we move into spring and a fun way to decorate for Easter, if you celebrate. And if you have kids you can use this as a project to learn about the growth of a plant (which I admittedly don’t know much about, see above). In any case, it only takes a few days to get full grown grass and I’ll admit that even as an adult it’s pretty cool to watch. I struggled with the title of this post because unless you’re using this grass to fill the bottom of an Easter basket then it isn’t technically Easter grass, it’s just grass. Well, to be specific it’s wheat grass but we aren’t growing it to use in smoothies we’re just growing it because it’s fun and green. Whatever, it’s grass that happens to be of the wheat variety that we’re growing around the time of Easter. See what I mean? Doesn’t make a good title, does it? Anyhoo, this ish is easy. 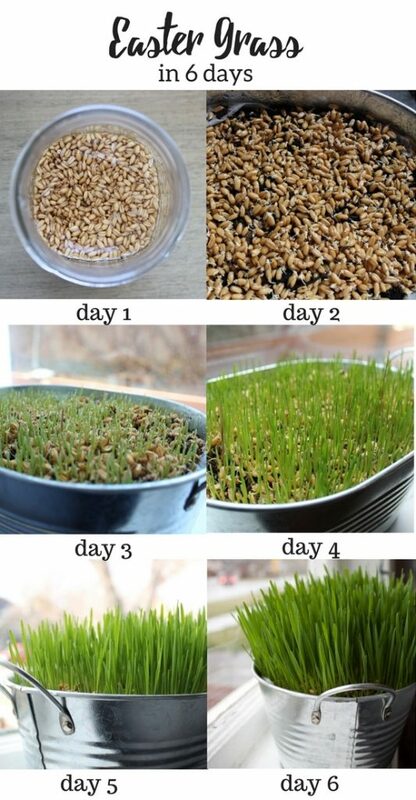 It’s super forgiving, once you awaken those little wheat berries they will pretty much grow under any conditions. You can start day or night, there are only a few steps (and a few days) before you get tall bright green grass. First you grab some wheat berries from the bulk section of your local grocery store. Mine were Hard Red Winter Wheat Berries that I picked up at Whole Foods. If you can’t find what you’re looking for, or there are too many varieties, then just ask an employee which ones will work best for sprouting. 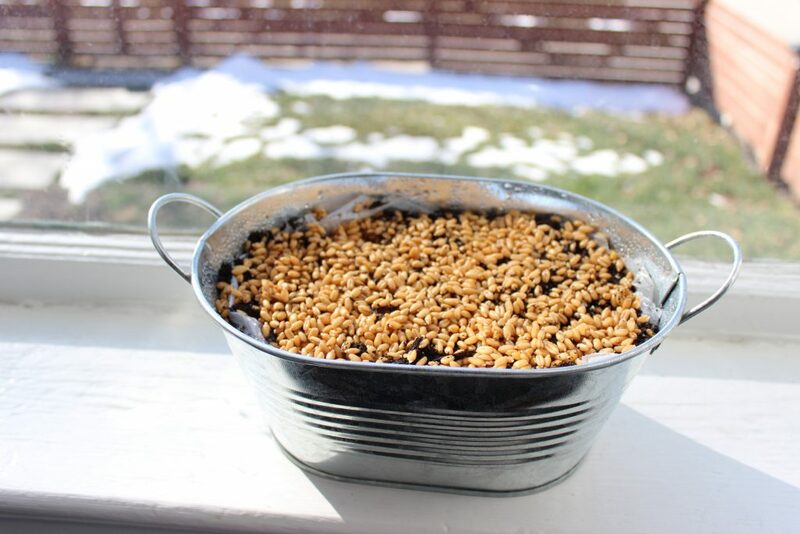 To start the sprouting process, rinse your wheat berries off in a sieve or cheesecloth/paper towel lined colander under cool water for just a minute. Then transfer them to a bowl or jar where the berries only fill about 1/4-1/2 of the container. Fill your bowl or jar up with water and cover loosely with a dishcloth and let sit for at least 6 hours, or overnight. Drain and rinse the berries and return to bowl then cover with water again. You may have to do 2-4 soaks depending on the total time and what your berries are up to. Once they start to sprout then you can get to planting them! For planting you’ll need a small container, plastic to line the container, and potting soil. A spray bottle is also helpful. Really any container will due, preferably something at least 2 inches deep to allow for some soil but drainage isn’t a huge deal so you don’t have to use an actual planter. Even a teacup or bowl from your kitchen will do. Mise en place not necessary unless you have a little helper like I did, in which case you’ll probably want everything lined up and ready for them to make a mess…I mean help. Once you’ve planted your sprouted wheat berries you’ll want to keep them loosely covered with plastic wrap, or a wet towel until they root just to make sure they don’t dry out. Once rooted you can place the container in a sunny spot and watch those guys grow! Oh yeah, and don’t forget to water occasionally. This really is a great project for the littles to help out with. It’s simple, hard to mess up, there’s dirt -and spray bottles- involved so I mean, who wouldn’t want to help? My kiddo was excited to plant our grass and kept saying “we’re gonna watch it groooooow” with such enthusiasm you would have thought we were growing chocolate. Below is list of what you need and day-by-day breakdown of how to grow Easter grass, so get to it! Day 0 night: Before bed, rinse your wheat berries under cool water in a sieve or cheese cloth/paper towel lined colander. Then transfer them to a large bowl or jar where the wheat berries only fill about 1/4-1/3 of the container, then fill the rest of the way with water. Cover loosely with a cloth. Day 1 morning: Drain and rinse your berries under cool water as you did the day before. Transfer them back into your bowl or jar and fill with water. Cover loosely with cloth. Day 1 night: Repeat the drain/rinse/return to bowl process one last time unless your berries are sprouting really well then feel free to jump ahead to day 2. Day 2: Drain & rinse your berries and check them for sprouting. They should be really starting to bud which means they are reading for planting! Take whatever container you plan on planting in and line it with plastic (unless it’s an actual planter), then fill with soil stopping about 1-2 inches below the top of the container. 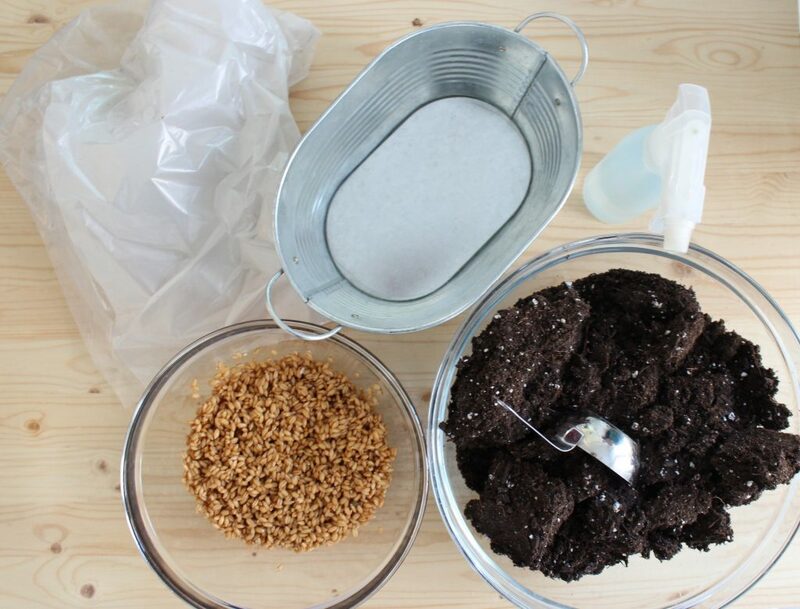 Lightly water your soil, and adding more if it packs down significantly once wet. 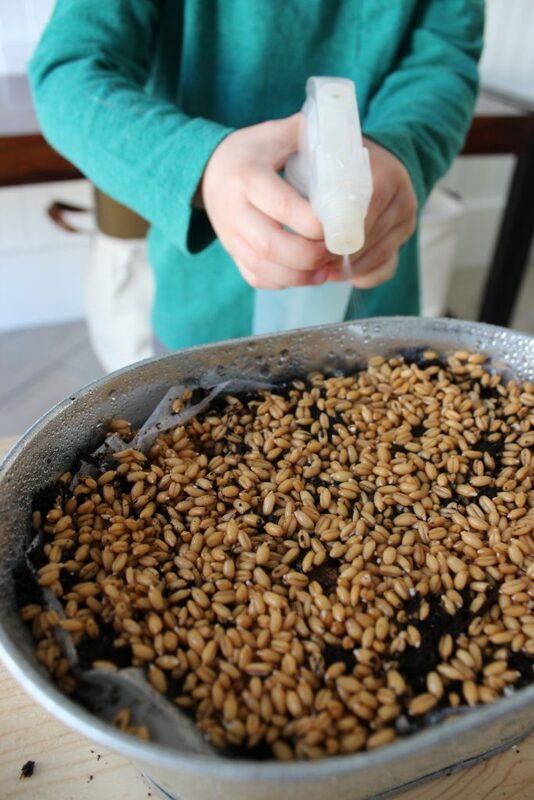 Then spread your sprouted wheat berries on the top of the soil. Aiming for a packed, single layer. Spray your berries with water and then cover the container loosely with a plastic wrap or a wet towel. Check occasionally to make sure your berries aren’t drying out, and spray with water as needed. Note: by tonight you’ll probably see big changes in your sprouts! Day 3: Continue to spray with water as needed, also check that your berries aren’t getting moldy (the sprouts/roots will start too look fuzzy). Air them out in a bright spot. Give them a good spray/water before going to bed. Day 4: This is when the action starts. Your berries should have rooted by now and really started to shoot up! Put the container in a sunny spot and water occasionally. Day 5: It’s real, it’s grass. Keep up the good work! Day 6: Your grass should be looking tall and glorious today. Keep watering occasionally (it doesn’t take much), and feel free to give your grass a little trim with scissors when it starts to get out of control. 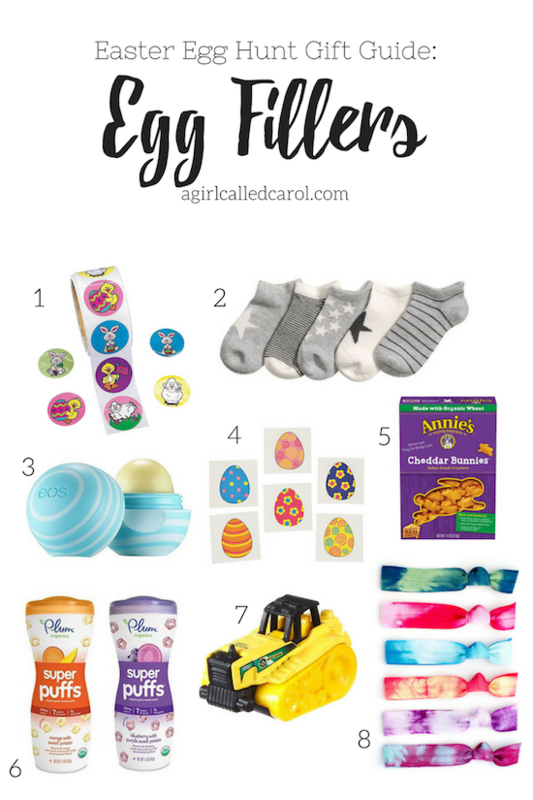 Check out my Easter gift guides for more inspiration, and this recipe makes a quick snack or breakfast for anyone with littles (or if you just like carrot cake, or muffins). It’s one of my favorite seasons – carrot cake season! That’s a thing, right? My favorite carrot cake recipe is from the Silver Palate Cookbook, the use of pureed carrots and crushed pineapple really takes it to the next level. 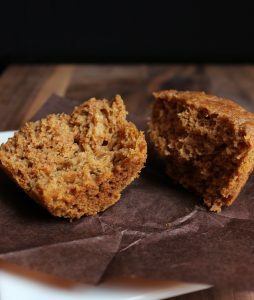 I used this recipe as inspiration since I’ve been on a muffin kick lately as a great way to use up a few ingredients and make a homemade snack even my toddler enjoys. 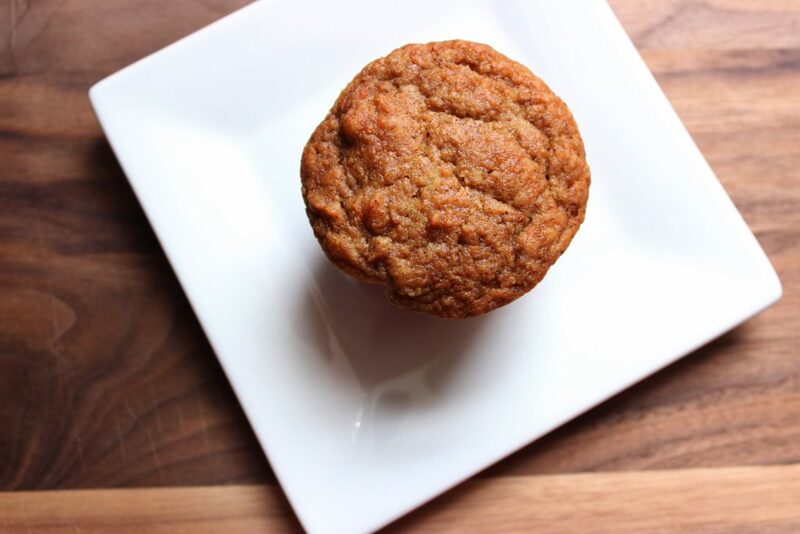 Muffins are really just less-sugary versions of cake, and after a few trials I ended up with this delicious carrot cake muffin recipe that is both adult and kid approved – no frosting necessary! Carrot cake is supposed to be dense and bursting with flavor. I’ve never really cared for carrot cakes that have shredded carrot, I find that you don’t get the full carrot flavor, instead you end up with dried out carrot pieces throughout your cake. Cooking and pureeing the carrots might seem like an unnecessary step but believe me, it’s key. To take some of the day-of work out, feel free to cook, puree, and the freeze your carrots beforehand. 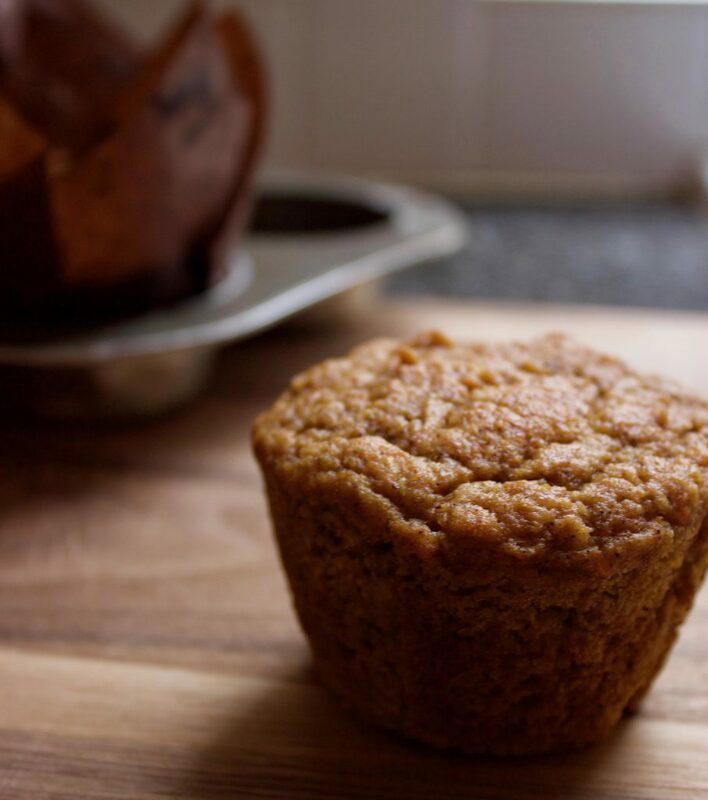 I keep ice cube sized chunks of pureed carrot in the freezer to add to the kiddo’s smoothies, so I just pull a few of those out and left them defrost in a bowl in the refrigerator overnight before making these muffins (or carrot cake). 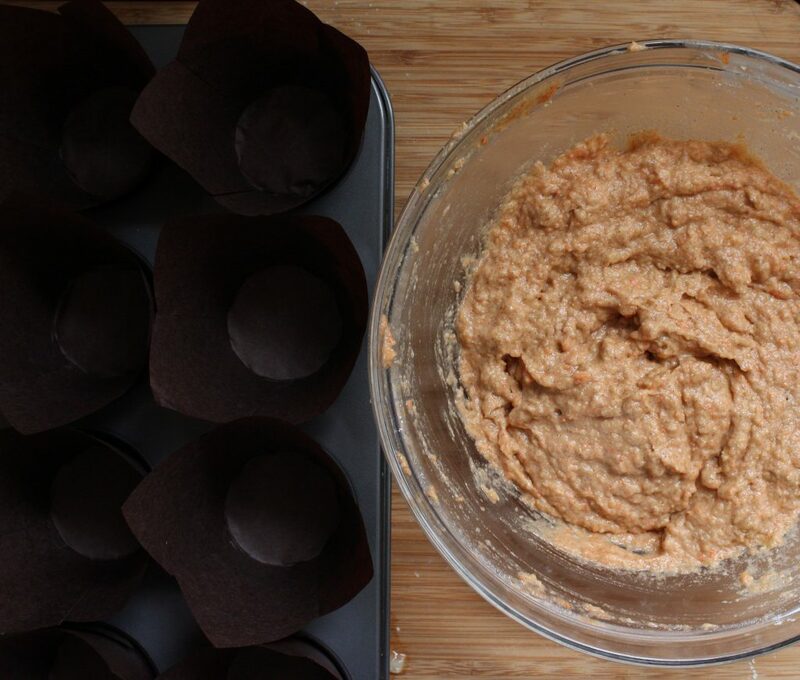 Then it’s just a matter of throwing the ingredients together, which is easy as pie… errr, cake… or in this case, muffins! You don’t even need a mixer to throw these little guys together just a plain old bowl and spoon, although you do have to dirty your blender to make sure the carrots and pineapple are nice and smooth. Repeat after me: it’s worth it. When you pull these bad boys out of the oven you are going to thank me. Steam carrots until fork tender, drain and cool. Add carrots, pineapple, pineapple juice, and applesauce to food processor or blender and blend until smooth. In small bowl combine all purpose flour, white whole wheat flour, baking soda, salt, and cinnamon. 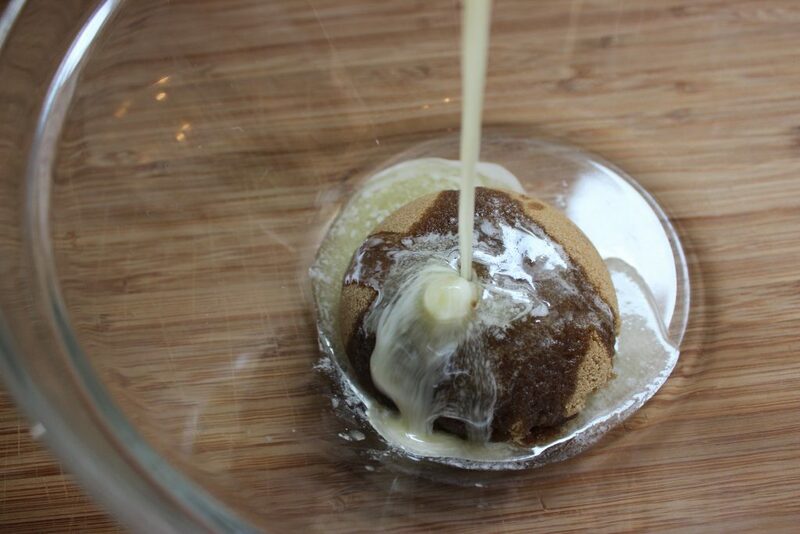 In a large bowl (or stand mixer) mix together brown sugar and butter. Add in egg and mix on low to medium speed until fully incorporated, stir in vanilla. Pour in carrot, pineapple, & applesauce mixture and continue to mix on low to medium (if using, add in coconut). Mix in dry ingredients on low just until combined. 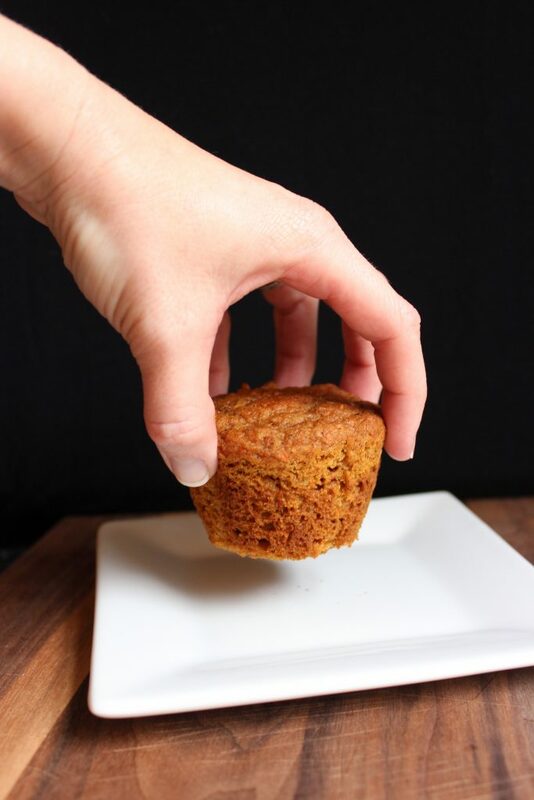 Fill each muffin liner 2/3 to 3/4 full. Bake in preheated oven for 17-20 minutes for standard sized muffins and 20-25 minutes for larger muffins, or until tester comes out clean. Cool in muffin pan for 5 minutes then remove to rack. Once completely cool, store in airtight container. Thinking about Easter and how to celebrate with the little ones? Here are some Easter basket and egg ideas, and if you’re in need of something to put those goodies in, this is a great roundup of adorable Easter baskets. Easter baskets are one of my favorite things. I can’t even explain why, I think maybe it’s the idea that spring is finally here, and summer is just around the corner, or fond memories from my childhood or something like that; in any case they’re fun. Fun to put together, fun to watch those little eyes light up with they spot a basket filled with goodies just for them. What’s not fun is combing through the holiday aisles trying to decide if you really need another stuffed animal or if you really want to give you kid loads of candy. Instead, I like to come up with things that they might actually need or enjoy that don’t qualify as clutter. 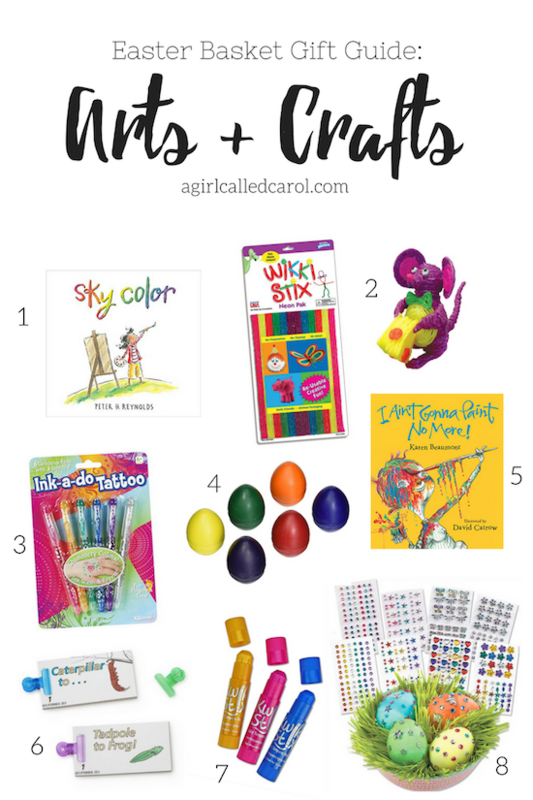 Below you’ll find 4 gift guides to fill up your little one’s Easter basket, plus some bonus links for those of us that like to add a DIY touch, and some candy-free things you can stuff in eggs for the great hunt! 1. 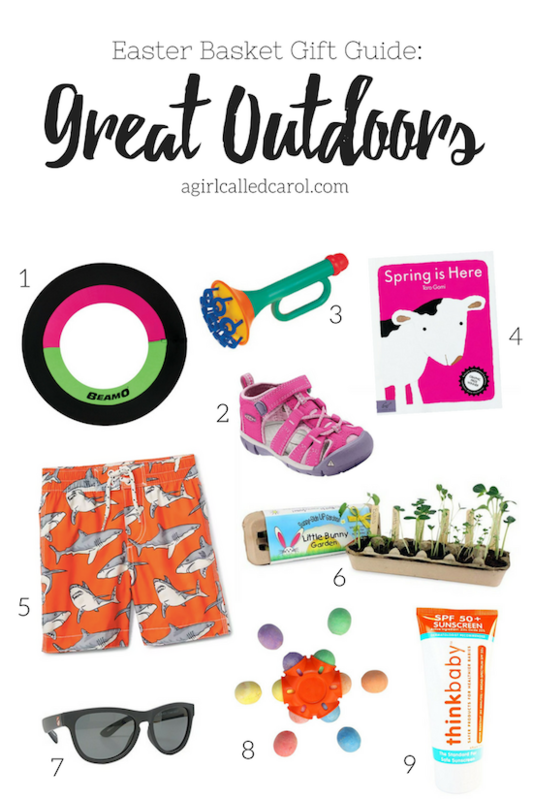 Think Summer: Kids grow fast, and since warm weather will be here before we know it, why not use their Easter basket to stock up on some summer essentials like sunscreen, sunglasses, swimwear, and outdoor toys? 2. Play Inside: Maybe you’re already full up on summer stuff, or maybe you have weeks of rain to get through enjoy, so fill that basket up with some cozy afternoon or lazy Saturday favorites. I am dying over how sweet that little matching/memory game is! 3. For the Creative Kid: What kid doesn’t need a few art supplies? I love that they’re consumable (therefore make great clutter free gifts!) but that means they often need replacing. Let your child’s creativity flow with a few things from this arts and crafts Easter basket. 4. Let the Adventure Begin: Planning a road trip, a big vacation, or a backyard campout this summer? 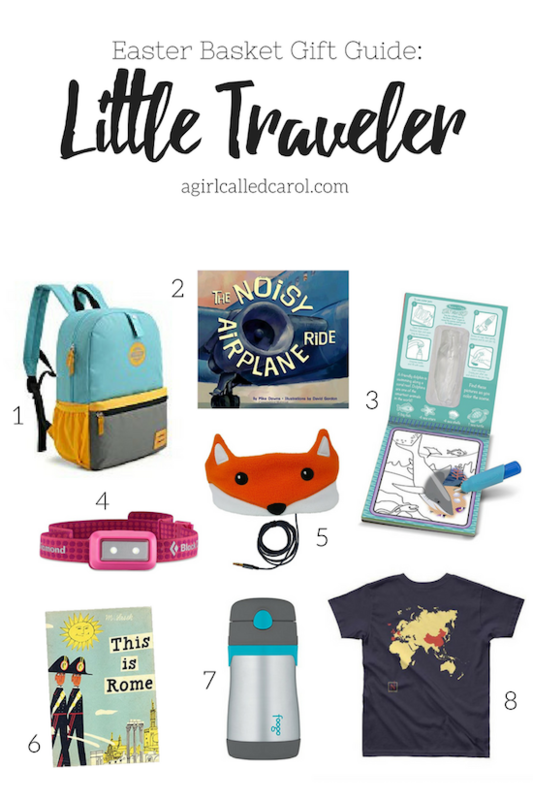 Get your kid geared up for travel with some cozy adorable headphones or their very own headlamp. 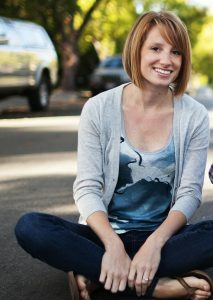 I want one of those personalized travel shirts for myself! 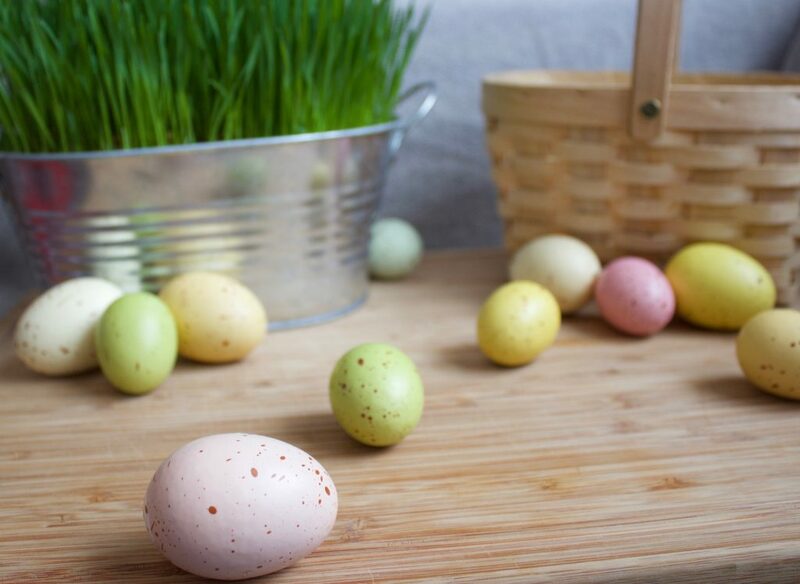 To avoid some of the inevitable sugar rush that seems to surround every holiday, here are some candy-free Easter Egg Fillers. Cute socks are one of my favorite things to squish into Easter eggs because they’re unexpected. Also, don’t forget Annies makes a few different yummy things that are shaped like bunnies – it’s like they were made for Easter eggs. I love me some DIY. When I had more time on my hands ::cough:: pre-parenthood ::cough:: I used to love to make gifts for the littles in my life. There’s something special about giving a gift that is entirely unique and made with love. I’ve made this adorable bunny pouch and filled it with these cute little animal finger puppets. Neither of those projects require much time or skill and will still turn out amazing! Crayon roll-ups are also an easy sewing project for any beginner, add a cute notepad and it makes a great travel activity. Want to keep your crayons at home, or prefer working with wood than sewing? You can make this crayon/pencil/marker holder – all you really need is a drill and some scrap wood. Want a little stuffed animal made just for your little one? Crocheted animals are much easier than they look! Here’s a great list of crocheted bunnies! While you can always buy play-doh, it’s quick to make and then you have a bunch! My two favorite recipes for homemade play dough are this Jell-O Playdough and this Soft Classic Playdough (tip: keep these in an air tight container in the fridge to prolong their life). What about DIY accessories? Apparently you can make a gorgeous headband out of an old t-shirt, scissors, and a glue gun. Phew. That was a long list! Now I have to go figure out exactly what to put in our Easter baskets this year.. Even if you think Valentine’s Day is a made-up greeting card holiday, it’s still hard to ignore. After a few years of going out and paying too much for a mediocre prix fixe meal I’ve learned my lesson. 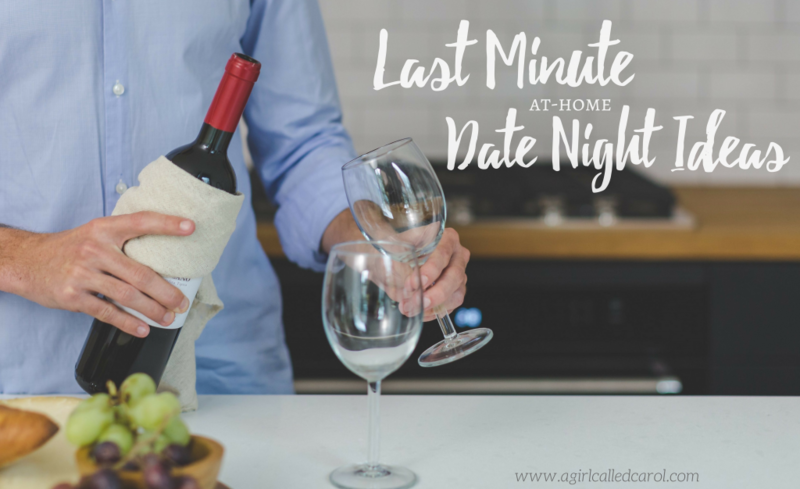 Save your eating out budget, and time, for another day during the month of February and celebrate Valentines at home with an at-home date night. The key to a successful at home date night? Mix it up! Most of us eat plenty of meals at home and then we crash in front of the TV, so it’s time to do something different. Dress up. Cook together. Eat dinner in bed. Don’t turn on Netflix. Whatever is out of the ordinary for you and your partner, do that! The great thing about a date night is that you get to do something fun, and stray from your routine, while spending quality time with your partner. So in order to keep that spirit alive for at home date nights you’ve got to break the mold. If you’re like me and do the majority of the cooking, AND don’t really like anyone messing with your space, then find a recipe online or try one of those meal services. It will be a new recipe with all the instructions clearly laid out, so neither one of you has the advantage. Maybe get a little crazy and let your partner take the lead! Or “floor picnic” but that sounds dirty and not in a good way. An unrelated note: make sure your floors are super clean before attempting said floor picnic. I get it, you think picnic and you envision soft grass, birds chirping, and the warm sun on your shoulders (or something like that) but it’s winter and it’s cold (for some of us). An indoor picnic can add a little more intimacy to your meal, you can sit together for one thing, so pull all the pillows off the couch and snuggle up. Don’t forget to light the fireplace or a few candles to set the mood. When we visit with my side of the family every night turns into game night, and it’s such a blast! For some reason we rarely think of doing it with just the two of us but there are plenty of games out there that can be entertaining for just two. Rummikub is one of my absolute favorites, but card games are also easy and don’t require you to store any big board games. You could even add a little wager to whatever game you choose, I mean a little competition never hurt anyone! Put on your cocktail best and meet up at the table for a candle lit dinner (even if it’s just take-out pizza!). It might seem silly but putting in that extra effort -while not required- can bump your date up to the next level. It’s like when you have a cold but you also have to go to work so you put on your favorite outfit and spend a little more time getting ready, and somehow, someway, that extra effort makes you actually feel better? Same thing applies here; feeling good about yourself puts you in a better mood which is guaranteed to make your at-home date a success. 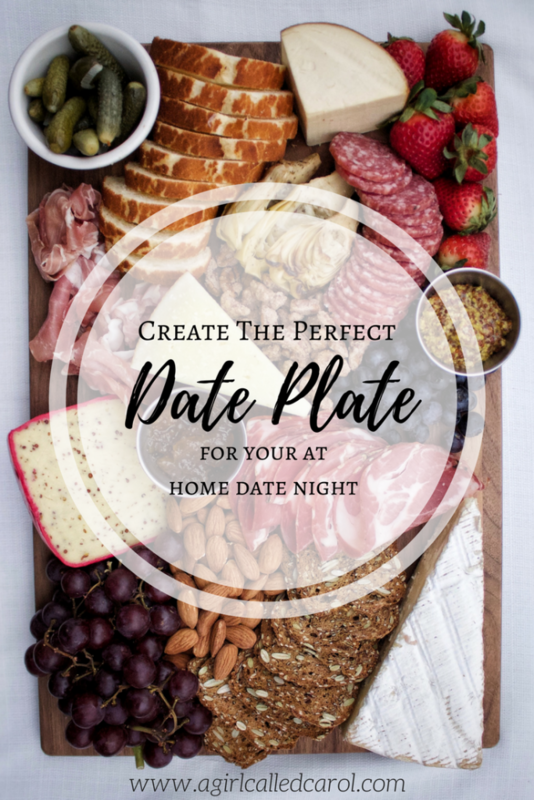 Need help with your menu for this fun date night you’re planning? 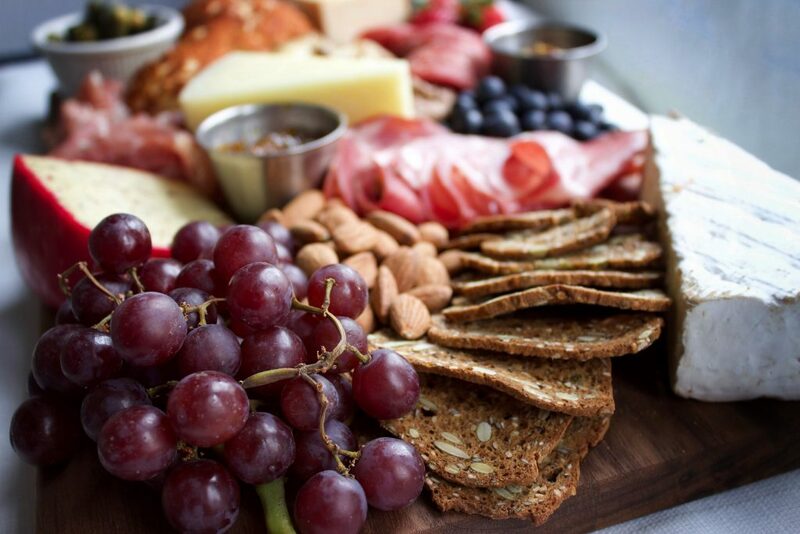 My favorite is to put together a meat & cheese & extras plate to enjoy at home. Super simple and super satisfying. Click on over to see how to easily put yours together! Now send your partner a text or leave them a note that date night is on the calendar, whether it’s for Valentine’s Day or any given Tuesday. After years of dating my -now- husband and I have realized that when we go out to eat our favorite way to order is to just get a bunch of small plates to share, and we always start with a meat and cheese plate. Eventually we just started to do at home (because, hello, cheaper!) and now we call it a date plate. Date plates are perfect because they encourage grazing and chatting (and sipping wine! ), there is something for everyone, and -the best part- there is little to no cooking involved. Bonus: my toddler also loves date plate nights, apparently eating off a shared plate is second only to eating right off of mom or dad’s plate. Creating the perfect date plate is all about mixing tastes and textures. You’ll want a few of each: cheese, meat, fruit, bread, nuts, spreads/dips, and any other vegetable or extra. It’s also fun to go shopping for ingredients together – and no need for this to be an expensive endeavor: buy in small quantities. 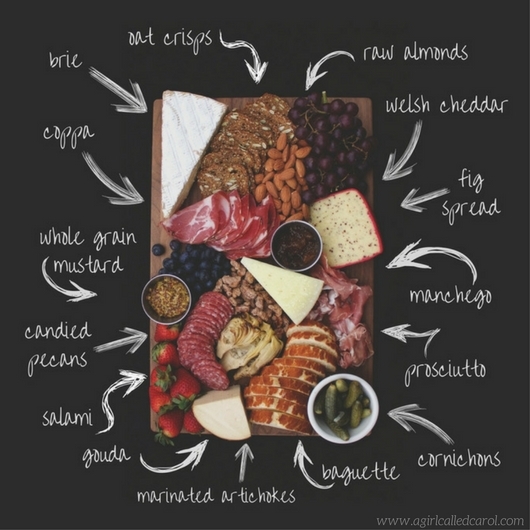 Check the specialty cheese section of your local grocery store for smaller portions (there’s usually a basket of leftovers that have much smaller pieces), and see if your deli counter has cured meats then you can grab slices rather than buying the whole package. The salad bar and olive bar will have an assortment of little goodies so swing by those too. Below is a typical run down of our date plate “ingredients”. Spicy or Flavored Salami – so many good infusions out there, get creative! Something “Easy” i.e. soft and mild – like coppa or maybe a cured beef! …and don’t forget a little oil & balsamic vinegar for dipping. You guys, it’s so easy and can really be a full meal -feels fancy with very little work, which is pretty much the best thing ever. I don’t know about you, but it’s still winter here and despite there being little to no snow on the ground the temps are still freezing and I need a winter pick-me-up! There was really only one option that would perfectly fit the bill: chili. 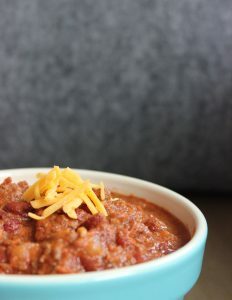 I think we can all agree that chili ranks right up there towards the top of the list of comfort foods. It’s warm, filling, and consumes your kitchen with deliciousness while it simmers on the stove. 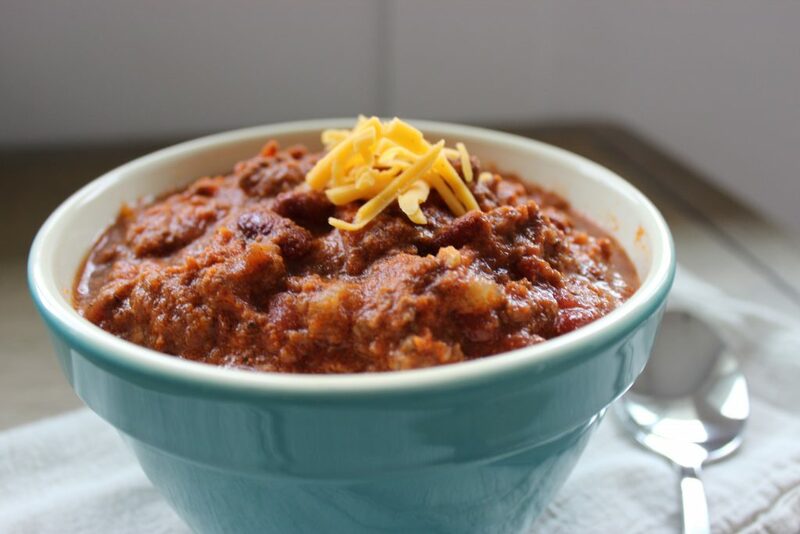 For me, it goes beyond that; chili reminds me of my Grandfather. It was one of the foods he loved to make, and he always made a pot when we came to visit. For years I made his recipe, but eventually started to play with it. Below is the result, and I think it’s *superb* if I do say so myself. The secret I found that lifted my Grandfather’s chili into superb territory is the addition of salsa. It adds a kick of flavor without having to add a bunch of different extra ingredients. Pair it with some sweet cornbread and you’ve got the perfect meal to warm up with on a cold winter day. In large pan over medium-high heat, brown ground beef. While the beef is browning, open both cans of beans and rinse them in a colander, pour diced tomatoes in the same colander to drain. Then, drain off excess fat and set meat aside in a bowl. In same pan, sauté onion until translucent (about 5 minutes). Add in garlic and sauté just until fragrant (1-2 minutes). Stir the ground beef back into the pan and sprinkle the salt over the mixture. Add in the remaining ingredients (tomato sauce, diced tomatoes, beans, salsa and spices). Stir to combine. Bring to a boil. then cover and reduce heat to low. Simmer 1.5-2 hours, stirring occasionally. For best results: around the 1 hour mark, taste test and add in additional chili powder, cayenne pepper, and/or salt & pepper as needed. Note: as the chili sits it will get spicier, so watch your cayenne pepper if you plan on having leftovers! Serve warm with a little cheddar cheese on top (plus sour cream if you’re feeling it), and a side of corn bread. *Use basic, jarred, store-bought salsa. Steer clear of fresh/pico de gallo varieties, that isn’t the flavor we’re going for here. I usually use mild to medium Pace or La Victoria – whatever is on sale. 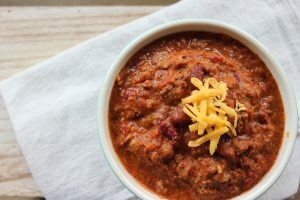 I know the new year is all about healthy eating and changing habits, blah blah blah, and this chili doesn’t masquerade as a calorie-free salad but it’s exactly what I needed today! 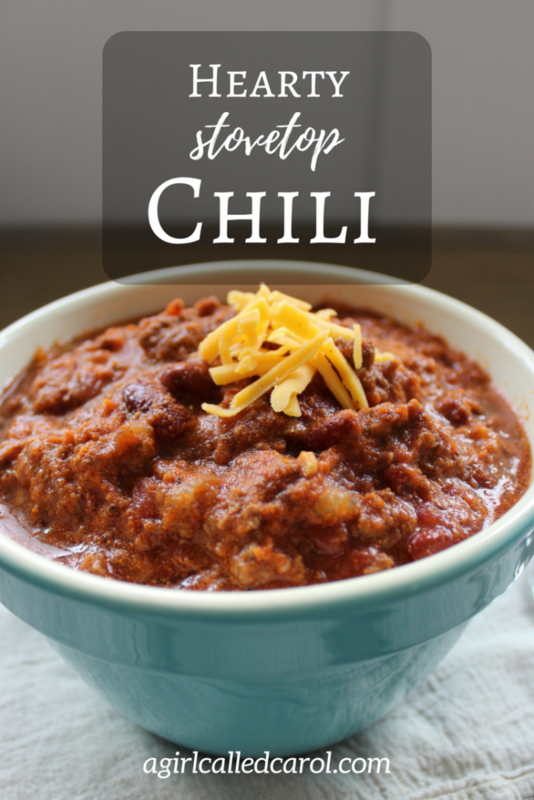 After this chili is gone ::ahem, probably in less than 24 hours:: I’m going to be looking for some more comfort food – what’s your favorite dish to make when the temperature dips down? Hi, I’m Carol! Welcome to my little corner of the internet, I’m so glad you’ve found it! This is where I share favorite recipes, fun home projects, my battles with simplifying, things to do with kids, and probably a few photos of my pugs. I would love for you to get comfy and take a look around. To learn more about me and this blog click here. Carol Forwood is a participant in the Amazon Services LLC Associates Program, an affiliate advertising program designed to provide a means for us to earn fees by linking to Amazon.com and affiliated sites. © 2019 A Girl Called Carol. All rights reserved.